Check back regularly for updates on IBEW Local 340’s activities. Visit the Events page for more details on upcoming events. At the April 3rd membership meeting Brother Jon Thompson was nominated for, and accepted, the position of Election Judge. 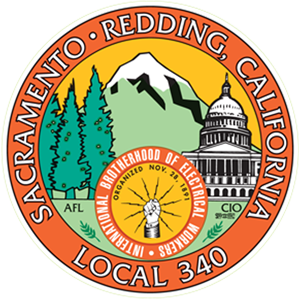 The Notice of Local 340 officer nominations were mailed on April 9th to all active members. Nominations of Local Officers will be held at the Union Meeting on Wednesday May 1ST @ 6PM at the Hall. Please note that nominees will meet immediately following the May 1st membership meeting with International Representative Michael Meals and Local 340 Election Judge Jon Thompson to go over the rules of election protocol. Good luck to all the nominees. We are experiencing more and more returned mail. It is imperative that we have your current mailing address on file, especially with all of the events, as well as the Local election, coming up in the near future! Call the Hall now at 916-927-4239 or go online at www.ibewlocal340.org to give us your current mailing address. (If you did not receive the event flier we mailed to all members on March 29th announcing the Open House/Pin Pickup, Picnic and Job Fair that means we do not have a good address on you!) Please contact us now. Thank you. Hope to see you all at this event on Saturday May 4th. We are handing out years of service pins and there will be lots of new IBEW items to either win or purchase. Bring your families and check out your new Business Office and Union Hall! Starts at 10AM, ends at 2PM. Three $1,500 scholarships will be awarded by the Five Counties Central Labor Council in 2019. Applicants must have graduated high school in the Fall of 2018 or Spring of 2019, attended a school located in the above referenced counties and be either a union member or the child or grandchild of a union member or deceased member. Deadline is June 26, 2019. For an application or more information on this scholarship, contact Brother Andrew Meredith at ameredith@ibewlocal340.org or at 530-241-2468. The membership picnic will be held at Hagan Community Park in Rancho Cordova on Saturday September 14th! Plans are already underway, but if you are interested in being a member of this year’s Picnic Committee, call Office Manager Reyna Kwong to volunteer your help. Note: The committee met in March and decided that they are bringing back the Tri-Tip this year, so if you were missing that item on the menu last year, it’s back. Raffle tickets are now available for the annual Sportsmans Club fundraiser. You can buy them at any meeting or event or from any of the Sportsman Club members. Tickets are $5 each or $20 for a book of 5. Also, if you purchase a book of tickets soon, you will be entered into a separate drawing for a spot at the IBEW Day in the Bay Fishing Trip, (that’s a $120.00 prize) so act now! Raffle Prizes are the same: 44 mag Henry Rifle, USA made Rod and Reel, a Mossberg 12 gauge shotgun, IBEW engraved Buck knife and much more! IBEW 340 DAY IN THE BAY – Still some spots left for the Annual Local 340 Fishing Trip (Halibut & Striper) scheduled for Saturday May 25th. Two boats, the California Dawn and the Pacific Dream, will leave from the Berkeley Marina @ 6:00 AM. Cost is $120.00. If interested, call Jason Green @ 916-716-6845 or Jason Prasad at 916-801-6221. I am sorry to report the passing of retired Brother Robert Parkyn 92 years of age/54 year member. He is the father of retired Brother Lynn Parkyn. Also retired Brother Larry Partanen passed away. He was a 62 year member and 90 years of age. SOUND & COMMUNICATIONS UNIT MEETING – Quarterly on the 4TH Tuesdays of January, April, July & October at the Hall – NEXT QUARTERLY S&C MEETING Tuesday July 23rd @ 5:00 PM – Note: Seven (7) members needed to have a quorum. CIVIL SERVICE UNIT MEETING – Quarterly on the 3RD Thursdays of January, April, July & October at the Hall. NEXT QUARTERLY CIVIL SERVICE MEETING Thursday July 18th @ 5:00PM – Note: Five (5) members needed to have a quorum. Attend the 2019 Electrical Expo Trade Show prior to the Union Meeting on April 3, 2019! The Trade Show is sponsored by Platt Electric Supply and the Sacramento Area Electrical Training Center (JATC). It will be held at our New Hall at 10240 Systems Parkway from 4PM – 6PM (You will receive 2 hours of continuing education). All members invited. The monthly Membership Meeting will begin at 6PM – See you there! The sprucing up of the new building is done for the time being and we are hosting an Open House/Pin Pickup-Presentation for all Local 340 members and their families on Saturday May 4th from 10AM to 2PM! Stop in at the Hall anytime on that day between those hours to take a tour of the new Business Office and Union Hall and if you are due a 5 – 45 years of membership pin, you will be able to pick that up on that day, as well. We will be taking pictures of all of the pin recipients (groups, and singles). In addition, a special ceremony will take place at Noon for members receiving their 50 plus years of service pins and certificates. All who attend the Open House that day are invited and encouraged to join us for this special ceremony honoring these members who have reached these very major milestones. Food will be provided for all at this event and any member attending will be entered into several raffles for a chance to win IBEW bags of new IBEW and Local 340 merchandise. Note: If you don’t win, most of these items will also be available to purchase at the event. Hope to see you all there! Mark this date on your calendar as well! The membership picnic will be held at Hagan Community Park in Rancho Cordova on Saturday September 14th! Plans are already underway, but if you are interested in being a member of this year’s Picnic Committee, call Office Manager Reyna Kwong to volunteer your help. In February, International Educator Sister Tracy Prezeau came to Sacramento to hold two Steward Training sessions: Construction (Inside) and Professional & Industrial Single Employer (P&I). We now have 23 new Steward-Trained members and on behalf of all of those who will benefit from the education you received, I want to congratulate those Brothers who completed the training: Kenneth Fangonilo, Gabriel Gutierrez, Brian Patrick, Edward Chiara, Paul Beasley, Michael Adams, Emiliano Cochise Silva Sr., Warren Adsit, Justin Bowen, Steven Dotson, Chris Anderson, Xavier Q Fernandez, Earl Charlesworth, Richard Boyer, Zackery Collins, Erik Meredith, Jason Prasad, Seneca Silva, John Murphy Jr., Jim Pumphrey, Robert Nichols, Troy Lafnear and George Gardner. In the first quarter of 2019 we have brought in 72 new members and signed up 6 new Local 340 signatory employers: Digital Dreams; T.A.R.P. Electrical Energy Solution; Power Telecomm & Security Inc.; PB Electric; Forward Sound & Communications LLC. Not only is our membership and employer base growing, Local 340’s Membership Development Department continues to participate in community events showing that Local 340 Union Electricians care about the communities we all live in. We marched in the St. Patrick’s Day Parade, canvassed houses on two different Saturdays with United Way in the Robla and Valley Hi areas offering free tax preparation to the public and we drove to Chico and Paradise to meet with the Campfire survivors to discuss their stories and distribute over $150,000 in donations to them. Another very important event our Membership Development Department is planning is a series of job fairs targeting non-represented “certified” electricians. You can help! If you know of anyone that is a certified electrician (friend, family member, neighbor) who might be interested in knowing more about joining the IBEW, we want to talk to them. The first job fair is scheduled for the morning of Saturday April 6th and if we are going to fill the job calls coming in this next year, organizing “already certified” electricians will be the key! Contact Meg or Justin at the Hall or email the department directly at md@ibewlocal340.org for more information about these job fairs. As you can see, we’re busy and are only going to get busier. 2019 will be another “banner” year for the members and employers of IBEW Local 340. Be part of this growth and get involved. We welcome your help. Thank you! Local 340 members and families once again participated in the St. Patrick’s Day Parade on Saturday March 16th in Old Sacramento. This was an opportunity to have some family time with our members and get some positive exposure for IBEW Local 340 in the Sacramento community. Thanks to everyone who showed up and marched with us. It was a lot of fun. According to the Sportsman’s Club this was one of the best years for the Annual Dog Training/Shooting Holes in the Sky event held on Sunday February 24th at Yankee Slough Hunt Club in Lincoln. Between 45-50 people showed up which included 23 shooters. They got a whole lot of birds and Brother Jason Prasad barbequed a great lunch of tri-tip and hot links for all. Enjoy a day of brotherhood with fellow IBEW Union members, families, friends as well as other Trade Unions. If you are interested in Clay Shooting, the event will be held on April 27th at Raahuage’s Sporting Clays in Dunnigan. This event sells out quickly. Call or email Liz McInnis at 707-452-2720 or ejmh@ibew1245.com for more information. Be sure to identify yourself as an IBEW Local 340 member or call Local 340 Brother Zack Collins at 916-709-7582. If you are looking for your 2018 year end dues statements, they were emailed to all members in late January. If you did not receive it, call the Hall or log on to the website and go to View Member Docs. You can download the statement from there. Brother Danny Hamilton called to say the year of 2018 was not one of his best years. He spent almost 2 weeks in the hospital after suffering a brown recluse spider bite and then back in the hospital for another 112 days after shattering his hip! Brother Hamilton is on the mend now from these issues and looking forward to a very unexciting year when it comes to health problems! Get better Brother. 4th Year Instructor Brother Brendan Nelson is also recuperating from an injury while playing for Local 340’s basketball team “The Sparkeez”. He tore his patella in his knee and pretty much kissed his basketball playing days goodbye. Good news is the team went on to win the game! The games are all held at Rausch Park and the new season will be starting soon. If you’re interested in seeing a game and supporting our team contact Coach Nelson at chuckskid316@gmail.com. We heard from Brother Don Piroutek who suffered a stroke last year while working in the Bay Area. Brother Piroutek is undergoing therapy and doing well. He expressed appreciation for all of the prayers and well wishes he has received. In his words “Keep them coming”! Brother Ken Irwin went thru a pretty big scare recently when he suffered a sudden major hearing loss. I am happy to report, that after receiving several steroid injections, he has recovered some of his hearing loss. Prayers and good thoughts that this trend continues for Brother Irwin. I am sorry to report the passing of active members Brother Steven Criswell (35 year member / 56 years of age) and Brother Gary Moya (20 year member / 63 years of age). Services for Brother Moya will be held in June. We have also lost two retired Brothers, Brother Brian Boggs (61 year member/83 years of age) and Brother Lou Costa (54 year member/75 years of age). Brother Sandy Konkol’s wife Ellie passed away suddenly in February and Brother Gary McDonald lost his father. SOUND & COMMUNICATIONS UNIT MEETING – Quarterly on the 4TH Tuesdays of January, April, July & October at the Hall – NEXT QUARTERLY S&C MEETING Tuesday April 23rd @ 5:00 PM – Note: Seven (7) members needed to have a quorum. CIVIL SERVICE UNIT MEETING – Quarterly on the 3RD Thursdays of January, April, July & October at the Hall. NEXT QUARTERLY CIVIL SERVICE MEETING Thursday April 18th @ 5:00PM – Note: Five (5) members needed to have a quorum. The year end statements for basic and working dues have been emailed out to all members who paid dues in 2018. If you did not receive it, call the Hall or log on to the website and go to View Member Docs. You can download the tax statement from there. There are still quite a few members who are not mailing in the correct amount for payment of basic monthly dues. Please note: We cannot issue a current dues receipt unless full dues are received. If you are mailing in your checks or having your bank send in automated checks, they must be for the correct amount in order to be posted! Also, we want to encourage every dues paying member to take advantage of the on-line dues payments at the secure member’s site on www.ibewlocal340.org. It is available 24-7 and is really the easiest way to get your dues paid! Thank you. IBEW Local 340 is once again going to award two college scholarships in 2019 ($1,000.00 and $500.00). These scholarships are available to sons, grandsons, daughters, granddaughters or legal dependents of members of Local 340. The General Rules and Instructions, as well as the application, can be picked up from the Sacramento Business Office or the Redding Office. You can also call either of these offices to request they be mailed to you. Please note: the completed application must be received in the Sacramento Business Office by March 15, 2019 to be considered. 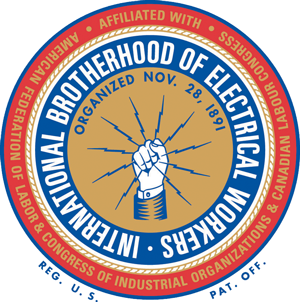 The IBEW Founders’ Scholarship honors the dedicated wiremen and linemen who organized the International Brotherhood of Electrical Workers on November 28, 1981. Each year the officers of the IBEW are pleased to offer its working members scholarships on a competitive basis. It is hoped that the awards will not only contribute to the personal development of our members but also steward the electrical industry that our founders envisioned. The award is for $200 per semester credit hour at any accredited college or university toward an associate’s, bachelors or postgraduate degree in an approved field. The maximum distribution is $24,000 per person over a period not to exceed eight years. Any member interested in applying for the IBEW Founders Scholarship can do so by going on-line at www.ibew.org. Click on “Resources and Links” at the top, scroll down to the box labeled “Founders Scholarship”. You will receive information on this scholarship as well as be able to download the application. These applications can also be picked up at the Business Office. This scholarship is for any member who has been in continuous good standing and paid dues (without an Honorary Withdrawal for the four years prior to May 1, 2019). This is not a scholarship for your dependents. All applications and required information must be mailed directly to the IBEW in Washington, DC postmarked May 1, 2019. 10th ANNUAL 340 SOFTBALL TEAM CRAB FEED – The 10th annual 340 Softball Team Crab Feed was held at the Hall on February 9th and it was, as it has been for the last 10 years, a huge success! Close to 300 attendees. There were many, many raffle prize winners this year. Local 340 Office Manager Reyna Kwong’s brother, Richie Jimenez, walked away with the grand prize of a 65” flat screen TV donated by our LMCC. You might remember Richie. He is the guy who makes balloon animals for the kids at our picnic every year. The Local 340 Softball Team thanks everyone who donated a prize or a food item, the volunteers who worked tirelessly and all of those who supported and attended this event. I had a great time and hope to see you all next year! DOG TRAINING/SHOOTING HOLES IN THE SKY – This annual event will be held at 8:00 AM on Sunday February 24th at Yankee Slough Hunt Club, 3805 Highway 65 in Lincoln. This is a safe, fun event open to all active and retired members and their children who are interested in hunting and the training of hunting dogs. Cost is $112.50 per shooter for 5 birds and kids shoot free. Meet at the parking lot of Yankee Slough at 8AM. For more information, contact Brother Zack Collins at zackery_collins@hotmail.com. Local 340 members and families will once again participate in the St. Patrick’s Day Parade on Saturday March 16th in Old Sacramento. It’s not a long parade route (just a few blocks in Old Sacramento) but it is a great opportunity for the Local Union to get a whole lot of positive exposure in the Sacramento community. We will have our banner and march with our decorated golf card. All Local 340 marchers will be handing out gold pencils and very popular specially-designed thundersticks to the crowd that read “IBEW Local 340 – Irish for a Day – Union for Life”. We will meet at the Old Schoolhouse yard in front of Joe’s Crab Shack in Old Sacramento between 11:00 and 11:30 AM. The parade starts at 1:00 PM. Remember, this is open to all IBEW members and families so wear your green & we’ll see you there! For more information, contact Justine at the Hall 916-927-4239 or at jvillasenor@ibewlocal340.org. Brother Ray Hughes is a Grandpa for the first time. Mila Marie was born two days after Christmas. Brother Hughes went to work in Las Vegas last year to be closer to his kids. He reports he misses everyone here at Local 340 but is sure enjoying babysitting his “little peanut”. I am also very happy and relieved to report that my wife Miranda and I welcomed our son, Remington Jett, to the world on Monday February 18th. (Presidents Day). He weighed 7 pounds 7 ounces and was 21.25 inches long. We are all doing great and I am looking forward to raising this little IBEW baby boy! Brother Brian Folena was in the hospital last month due to a motorcycle accident while working in the Bay Area. After about a week of hospitalization, he was released to recuperate at home. Brother Folena may be looking at future lung surgery as a result of this accident. Systems Installer Brother Brandon Gollaher was hit by a drunk driver approximately 7 months ago while at a concert. He is now out of the hospital and going thru physical therapy for his injuries. He is hoping to return to work in the next few months. We lost two Retired members last month, Brother Richard Hall (62 year member/88 years of age) and Brother Robert Watkins (62 year member / 86 years of age). Brother Herman Pede was recently in Sacramento (from Montana) to attend a memorial service for his mother, Barbara Fair. Also, we just learned Brother Brian Bailey’s wife Margarette (at the very young age of 56) passed away after a courageous hard-fought battle with Crohn’s disease. Long-time Local 340 Trust Attorney Mark Lipton passed away in late December while on his honeymoon in Paris. Mark was instrumental in developing a lot of the SAEW Trust Laws that are still in effect here at Local 340 and also aided many of our members with their pensions during his career. Although he was semi-retired, Mark was always at the other end of the phone when I needed something. He will be greatly missed. Our thoughts and prayers go out to all of the above members and individuals and their families. As you were notified, the Inside Wireman’s Allocation Meeting to discuss and vote on the previous negotiated $1.00 increase was held on January 2, 2019. After a very thorough discussion, a vote was taken and it was M/S/C to place $.50 to wages and $.50 to Health and Welfare. Thank you to all who attended the meeting and participated in this allocation vote. All Inside employers have been notified of the February 1st increase. The end of year statements for basic and working dues have been mailed out to all members who paid dues in 2018. If you did not receive it, call the Hall. The final count of IBEW members who lost their homes in this brutal fire, is 21. Thirteen (13) were Local 340 members and eight (8) were members from Locals 6, 551, 332 and 234. At this writing, the donations from the GoFundMe page and the money that came into our LMCC for the 340 Campfire fundraiser totals over $137,000.00. On behalf of the members who will be receiving help from these donations, I want to thank everyone who gave so generously. Anyone interested in volunteering with the rebuild of some of our member’s homes should call the Hall or email md@ibewlocal340.org to add you name to the volunteer list. Once we are given the go ahead and the weather clears, we will be contacting you. There are a few spots left if you are interested in attending Steward Training in February. With the number of large projects coming up in 2019 we’re going to need trained job stewards who can represent IBEW workers on the job. Anyone completing the training will receive 8 hours of Continuing Education credits to be used towards State certification. If interested in attending this training, call Justine Villasenor at the Hall 916-927-4239 (extension 1001). The temporary amendment is effective from January 1, 2019 through December 31, 2019. Once an individual has worked for 600 hours in covered and contributory employment during the term of the temporary amendment, the individual will no longer be able to take advantage of this amendment and the normal rules (permitting work in the electrical industry for less than forty (40) hours per month without a suspension of benefits) will apply. Disability pensioners are not eligible (the existing rules applicable to disabled pensioners remain in effect). Only retirees who return to NEBF covered and contributory employment will be able to take advantage of this amendment – this amendment will not apply to persons who work for covered employers where no NEBF contributions are required or to persons who work for non-covered employers in the electrical industry. The 10th annual 340 Softball Team Crab Feed will be held here at the Hall on Saturday February 9th. If you are interested in purchasing tickets for this event call the Hall at 916-927-4239 or purchase online at ibewlocal340softball.ticketleap.com. You can also get in touch with one of the Softball players. Tickets are $60.00 per person for all you can eat crab, pasta, salad and bread. This fun event is known for great food and fellowship, as well as several types of awesome raffles! All members are welcome to attend this Crab Feed. This annual event will be held at 8:00 AM on Sunday February 24th at Yankee Slough Hunt Club, 3805 Highway 65 in Lincoln. This safe, fun event is open to all active and retired members and their children who are interested in hunting and in the training of hunting dogs. Cost is $112.50 per shooter for 5 birds and kids shoot free. If you want to have breakfast beforehand, they will be meeting at Kim’s Country Kitchen, 527 G Street in Lincoln at 6:30 AM. Otherwise, meet at the parking lot of Yankee Slough at 8AM. For more information, contact Brother Zack Collins at zackery_collins@hotmail.com. Local 340 members and families will once again participate in the St. Patrick’s Day Parade on Saturday March 16th in Old Sacramento. It’s not a long parade route (just a few blocks in Old Sacramento) but it is a great opportunity for the Local Union to get a whole lot of positive exposure in the Sacramento community. We are going to decorate the golf cart and walk behind it handing out to the crowd specially-designed thundersticks that read “IBEW Local 340 – Irish for a Day – Union for Life”. If you and your family members want to join us, we will meet at the Old Schoolhouse yard in front of Joe’s Crab Shack in Old Sacramento between 11:00 and 11:30 AM. The parade starts at 1:00 PM. Remember, this is open to all IBEW members and families. Wear your green & we’ll see you there! For more information, contact Justine at the Hall 916-927-4239. None to report at this time but the Safety Committee would like to remind the members who are working that workplace injuries should be reported to the Business Office as soon as possible. If you have a Steward on the job, he can report for you. Thank you. SOUND & COMMUNICATIONS UNIT MEETING – Quarterly on the 4TH Tuesdays of January, April, July & October at the Hall – NEXT QUARTERLY S&C MEETING Tuesday April 23rd @ 5:00PM – Note: Seven (7) members needed to have a quorum. I am sorry to report that 17 of the 23 IBEW Brothers who were living in the Paradise/Magalia/Concow area lost their homes and all their possessions in the CampFire. We have also learned that 2 IBEW employers lost not only their homes but also their places of businesses. No one was hurt in the fire and for that we are truly grateful, but they will need help rebuilding and/or just moving on with their lives somewhere else. Therefore, Local 340 is collecting monetary donations to be disbursed among these IBEW survivors in order to help them. Checks made payable to LU340 Campfire Relief Fund can be sent to the Business Office or you can donate online by logging on to www.gofundme.com/local340-039camp-fire039-relief-fund. We’re also organizing a group of Local 340 volunteers who will go to the fire site and help with the rebuild after the 1st of the year. If you’re interested in representing Local 340 and being part of this volunteer group, just call the Hall and ask to be connected to our Membership Development Department or email them at md@ibewlocal340.org. Once we meet with the Butte County Officials regarding exactly what we will be doing in the rebuild efforts, you will be contacted with the details. When you receive mail or email from the Business Office, it is imperative you open it up and read it immediately. Sometimes this correspondence is regarding upcoming new member meetings, ratification votes, late dues payments, member events, etc. If you make it a habit to read this mail upon receipt, you will save both you and us, time and money. The 10th Annual 340 Softball Team Crab Feed will be held at the Hall on Saturday February 9th beginning at 6PM (Doors open at 5). Tickets are $60.00 each and your purchase enters you into a special door prize drawing and gets you All-you-can eat Dungeness Crab, Caesar Salad, Pasta and Garlic Bread. This year the tickets can be purchased online at https://ibewlocal340softball.ticketleap.com/crab-feed. This fun event is known for their great raffles, as well as awesome food and fellowship. All members are welcome to attend. There’s still time to sign up for Steward Training in February. With the amount of large projects coming up in 2019 (See Business Manager Bob Ward’s recent letter to you), we’re going to need trained job stewards who can represent IBEW workers on the job. Anyone completing the training, will receive 8 hours of Continuing Education credits which can be used towards State certification. If interested in attending this training, call Justine Villasenor at the Hall 916-927-4239 (extension 1001). There are only so many spots available, so don’t wait, sign up now to ensure you can get in. You do earn Continuing Education Credits when you complete the class. The IBEW/NECA 37th Annual Operation Christmas Basket fundraiser raised over $8,000.00. That makes a total of $283,789.00 given to local charities at the Holidays since this fundraiser began. Every dollar collected from ticket sales went to help needy Union Families during the Holidays. As always, the three top prizes were donated by our Labor Management Cooperation Committee. We collected Toys and Food this year to help Local 340 needy families. One of the best stories I want to share with you though is that in early December, Brother Daniel Aceves and his wife Dez called to tell us that they wanted to “give back” this year. When Brother Aceves was just starting out as an apprentice, he needed a little help and his family received a Christmas Basket of food and toys from us. When they recently told their three children about that time, the kids wanted to help. Mario, Irene and Vincent Aceves (7, 8 and 12 years old) showed up at the Hall with a bunch of new toys that they had purchased to add to our toy drive. Thank you to the Aceves family for paying it forward and thank you to all of the members and staff members for your generous donations of food and toys. Any member interested in applying for the IBEW Founders Scholarship can do so by going on-line at www.ibew.org. Click on “Resources and Links” at the top, scroll down to the box labeled “Founders Scholarship”. You will receive information on this scholarship as well as be able to download the application. These applications can also be picked up at the Business Office. This scholarship is for any member who has been in continuous good standing and paid dues (without an Honorary Withdrawal for the four years prior to May 1, 2019). This is not a scholarship for your dependents. All applications and required information must be mailed directly to the IBEW in Washington, DC and must be postmarked May 1, 2019. Brother Ralph Hlawaty just underwent his 2nd hip replacement and is now home recuperating. Brother David T Bianco reports that he is doing “just fine” after his recently knee surgery. Brother John Montgomery and his wife Pam are also both going through some health issues. Retired Brother Frank Z’Berg passed away in November. He was a 62 year member and 88 years of age. Services will be held after the New Year. I am also sorry to report the passing of Brother Brian Lux’s wife Kimberly Jo who lost her battle with cancer a week before Christmas. Please remember all of the families above in your thoughts and prayers. SOUND & COMMUNICATIONS UNIT MEETING – Quarterly on the 4TH Tuesdays of January, April, July & October at the Hall – NEXT QUARTERLY S&C MEETING Tuesday January 22nd @ 5:00PM – Note: Seven (7) members needed to have a quorum. CIVIL SERVICE UNIT MEETING – Quarterly on the 3RD Thursdays of January, April, July & October at the Hall. NEXT QUARTERLY CIVIL SERVICE MEETING Thursday January 17th @ 5:00PM – Note: Five (5) members needed to have a quorum. We have 21 IBEW members who live in the Camp Fire area. At this writing, the fire has ravaged the homes of 7 of our members as well as destroyed the businesses and homes of two of our Northern Employers, Henderson Electric and Voltage Specialists. Assistant Business Manager Andrew Meredith is working very closely with the authorities in the affected areas to find our members, as well as helping to determine what the immediate needs of the people are at this time. I hope to have more details and hopefully, some positive outcomes, to report next month. If you want to help our members who have lost their homes, you can do so by donating on the gofundme page Local 340 Camp Fire Relief Fund. We also ask for your continued prayers for the 21 IBEW families and all the people from the Camp Fire area. We, as a Local, are going to do everything we can to help thee members during this time. If you want to be involved, just give us a call. I also want to mention that a Crisis Support Line has been created by our counselors Morneau Shepell. They understand that traumatic events or crisis can trigger overwhelming emotional responses. This special Crisis Support Line was designed to specifically ensure that all IBEW Local 340 members and their families receive the counseling they require to cope with this tragic event. Anyone needing emotional support due to this Camp Fire should call 1-866-885-6540. Please take advantage of this help. You don’t have to go it alone, especially during the Holidays. Speaking of the Holidays, I can’t let the Thanksgiving Holiday go by without mentioning several things that I am extremely grateful for this year. A big change in my personal life is that my wife Miranda and I are once again adding to our home and this time it’s not a major remodel or the addition of a new fur baby. We are expecting our first child and though we couldn’t have been more surprised by the news, we also couldn’t have been more pleased to learn we have a son due on Valentine’s Day. The pregnancy is going very well, and Miranda and I are quite grateful and excited to begin this new phase of our lives. We’ve also moved into our new Business Offices and Union Hall and every single day when I pull into the parking lot, I give thanks that we made that very difficult, but necessary move. I am extremely grateful for every one of our Office Staff members, as well as the Local Officers, who show up every day, or for every meeting, to help keep the daily business of Local 340 running smoothly. Lastly, I want to take this opportunity to once again thank all of you for the support you’ve shown me these last 2 ½ years as your Business Manager. I love this job and am excited for Local 340’s future. Wishing you and yours a Safe and Happy Thanksgiving and Christmas Season. YOU VOTED & IT COUNTED! The November 6th Mid-Term Congressional, State & Local Elections results were in our favor this time. We are very optimistic that with working with our new Governor Gavin Newsom and being firmly represented in both the Assembly and the Senate, we will be able to deliver and defeat legislation in service to our members across California. Thank you all for voting! Thanks also to the members who stepped up to GOTV by precinct walking and phone banking. Effective with January 2019 dues, all “A” membership basic dues will increase by $1.00 according to action taken at the 2016 International Convention. This increase will go towards funding the International Pension Benefit Fund. If you self-pay your dues, or have your bank send in your monthly dues, be sure to increase your monthly payment by this amount. Any member on automatic dues checkoff or employer checkoff will see the increase with your deductions. A job steward is an appointed Union Representative, who represents all IBEW Brothers and Sisters on the jobsite. They are thoroughly educated in the Rolls and Responsibility of a Union Steward and are able to work with Management on behalf of the member (or members) as issues occur on the jobsite. I am happy to report we have scheduled Steward Training classes with IBEW Educator Sister Tracy Prezeau for February. With the work we have right now and the new contracts we recently signed, there is a major need for more Local 340 trained stewards. There is nothing better than looking around a room of retired members and watching and listening to them catch up with Brothers they went to school with or worked on the job with many years ago. The event we held here at the Hall on October 27th was a huge success. Although, only 10 recipients were able to make it this year, they brought their families and their memories, and a great time was had by all. Office Manager Reyna Kwong did a great job planning the event. Thank you to Vice President Mitchell Newman for officiating and a special thanks to International Representative Brother Michael Meals for helping to present the certificates. This year we offered our “Get Ready to Retire” seminar to all members, not just those near retirement age, and it too was a great success. Over 130 people showed up to learn from our Money Managers and Speakers from all of the Pension Plans including the Social Security Office. Everyone agreed that they definitely learned a lot and went away that day with a better plan than they came in with regarding retiring. SAEW Trust Office Representative Teresa Raney worked with Local 340 Office Manager Reyna Kwong to coordinate this very necessary retirement event and other than running a little short on chairs and food, due to this every two-year event being too successful, it was very well planned. Thank you. The IBEW/NECA 37th Annual Operation Christmas Basket fundraiser which will be raffling off $1,500.00 cash; a Shotgun; Lottery Scratchers and more, will be held at the Membership/Christmas Dinner/Meeting on December 5th @ 5PM. You do not need to be present to win but you do need to buy a ticket! Tickets are available at the Hall, as well as from Local Union Members. Every dollar donated goes to help needy Union Families during the Holidays. If you are able to donate this year, the Local is also holding a Food and Toy Drive for our own Local 340 members who might need a little extra help at Christmas. We are collecting non-perishable food items and new toys at the Business Office between now and December 14th. If you have been a recipient in the past and are doing good now, maybe this year is the time for you to give back. Thank you. HEALTH & WELFARE OPEN ENROLLMENT IS NOW! Open Enrollment runs from November 1st thru December 15th. Changes to your current medical plan must be made during the Annual Open Enrollment period. If you wish to make any changes, call Teresa Raney in the Trust Office @ 916-923-0666. Only one Sound & Communications meeting was held in January this year as we had no quorum. We need at least 7 members to attend in order to have a meeting and we did not have that on the 4th Tuesdays in April, July & October. Remember, this is your unit. We prepare for every meeting and if you don’t show up, your voice and your issues cannot be thoroughly addressed. The next S&C Unit Meeting is scheduled for Tuesday January 22nd @ 5:00 PM at the new Hall. Mark your calendars now. Special notices will not be sent as we do not send out special notices for any other classification and they seem to make it to their meetings. Your meeting dates and times are listed on the website www.ibewlocal340.org as well as in this Labor Bulletin every month. Just since the beginning of this year, Local 340 has taken in 59 new Sound & Communication members and we have a lot of new work coming up in 2019. Come to the January 22nd meeting to get more information on these items and more! Brother Shirish Gandhi has suffered a stroke. He is doing well and appreciates your thoughts and prayers. Brother John C “Jack” Henry – 62 year member and 82 years of age.